The world needs to be saved, but it must wait for it a little longer. It is not Cube Robot's job to save the world, he has better things to do. No, the job of Cube Robot is, to give you an awesome platformer experience on Android. The robot is fast, very fast, and sometimes even faster, so don't forget to use seatbelts. 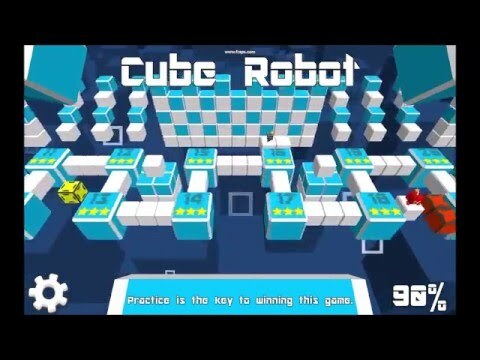 Cube Robot is a 3D platformer that is designed for the maximum fun. Dodge obstacles like lasers, cannons or falling blocks, while you are running fast as hell through the 50+ levels. Did we mention, that you have to be fast in this game? This is not a joke, you will die, if you are too slow. And you only get all the stars, if you beat the levels at maximum speed. eQuality wishes you unending fun with Cube Robot, and an awesome new year! Do not copy that app or contents of that app.